2 7/8 in. 440 stainless steel blade. 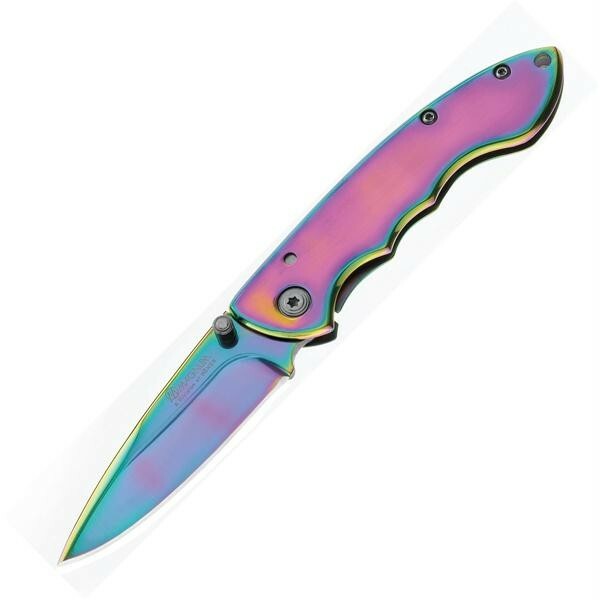 Entire knife is chemically treated to crate a rainbow spectrum. Includes frame lock, pocket clip and lanyard hole. Overall length is 6 3/4 in.